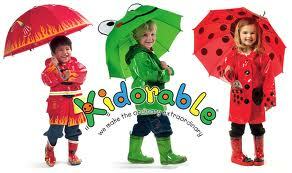 My kids have Kidorable rain boots and LOVE sporting them to school on rainy days. I think that I'll grab them each a rain coat to put away for Christmas. They'll get good use out of it this spring! If you've been waiting to SCORE, here is your chance! As we have seen before, with prices this LOW, items will SELL OUT QUICK!